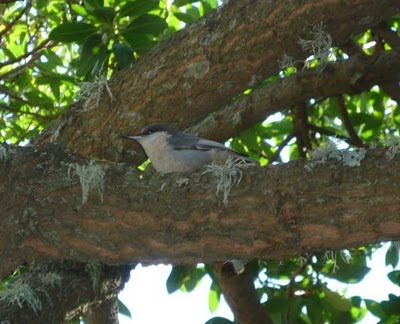 We had several pygmy nuthatches visit our SF backyard Christmas day. These small birds are so beautiful -- a nice Christmas surprise. Now if I could only get photos of the bushtits and that solitary Townsend's warbler, my backyard photo catalogue would be up to date.